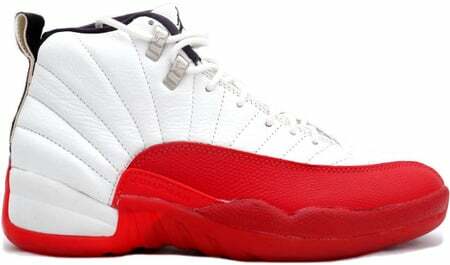 Probably the most popular Original Air Jordan 12 (XII) is the White – Varsity Red – Black aka White / Red. Michael wore the Original Air Jordan 12 White / Red during the 1997 season. Featuring a Red wrapped around the toe area, running towards the heel, and a solid White upper, the Air Jordan Original 12 White / Red is a must have for ones collection.